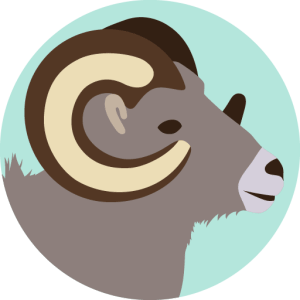 Strengths – Aries is courageous and is considered the strongest sign of the zodiac. Rushing forward without fear, ready to take on any challenge or battle that comes their way, these individuals won’t hold on to the past and wallow over things that are dead and gone. Their positive characteristics are enthusiasm, optimism, independence, strength, initiative and generosity. Weaknesses – The greatest weakness of those born with the Sun in Aries is their stubbornness. The pair of horns they carry around on their head won’t let them give up without a fight and this makes them persistent in obtaining things they don’t even need anymore. Not knowing how to stop, they can become inflexible and too proud for their own good. When their boundaries are shaken and they feel fear or anger, they will show their short temper and lack subtlety to resolve the situation at hand. If they manage to keep their peace through challenging times, there is really nothing that will stop them on their path. The strongest suit in an Aries when it comes to their relationships with other people is their understanding of respect. They have a deeply seeded ability to respect other people’s opinions and choices, even when they hold on to their own like they would rather die than surrender. Their social network is large, for they are warm, passionate, adventurous and always ready to help those in need. Their hero complex can sometimes make them overly giving, with a tendency to do things for loved ones that their loved ones don’t even want done. An Aries will fight for love, no matter if it is love for partners, friends or family members. They will protect you and stand by you in the toughest of times, even if they seem aggressive and overly opinionated. As partners - Aries representatives will be strong-willed and stubborn, but at the same time protective, warm and passionate. They need a partner who will be able to calm them when they burst into flames, and easily forget conflicts that arise along the way. They can be too dominant and in cases of strong repression in their upbringing, Aries can be a tad strange when it comes to their sexuality and the way they form intimate relationships. As parents - all Aries will have trouble adapting to a newborn baby, mostly because of its sensitivity and the responsibility it brings. Usually rushing into new experiences in life, an Aries will rarely understand the consequences of all their activity and they could be too impulsive and demanding when it comes to their relationships with children. However, rare are those who understand the importance of play as well as an Aries. Even though they will seem strict and too serious at times, they will often behave like they are children themselves and easily show their creative side in family activities. Enjoying their own return to childhood, they can build incredible relationships with children entering their little worlds, and growing together with them from there. As children - Aries need a lot of understanding and tenderness with their incredibly high energy levels and their outspoken personalities. Years can go by with their awareness of situations in which to hold their tongue never moving from the starting point. They don’t understand secrecy, silence and blind obedience, and create a lot of trouble out of spite if pushed too far. Honest and direct, they will respect and love their parents no matter what. This is why they need to be respected in return, with their freedom intact and their personality allowed to grow, even when it seems wild. Without fearing initiative, Aries can stubbornly chase the subject of their desire for a while. They will get flirtatious, impatient and passionate, fighting for love as their necessity that has to be obtained. When they fall in love, it will be hard for them to balance their passionate, proactive side, with tender emotions they carry within. This could lead to conflicts and hurt, simply because they have a need to protect their hearts, not accepting their own sensitivity. When supported in this tender area of the heart, the best in Aries tends to shine and they become loving, warm and passionate, able to show their love through daily acts of kindness. Sexual compatibility is extremely important in their intimate life, for they have to feel free to express who they are and have trouble understanding any sort of frustration. Creative and ambitious, there is nothing an Aries cannot accomplish in life only if motivated enough. Ready to take on challenges, good in times of crisis, they are innovators that burn out quickly but can give the initiative energy for any type of endeavor and cause. When they build some tact and awareness of other people’s needs, they become incredible managers and leaders, with a talent to give others energy and reason to fight for a shared goal. Passionate Passionate about their work, their ethics, relationships or creative efforts. Positive about final outcomes, circumstances, abilities and always looking forward. Courageous to take on any problem that might arise, and face others in the time of need. Undisciplined for they know they have enough energy to use it on several different things at once, but lack awareness on all of the steps towards he final goal. Stubborn since there is nothing they value more than self-respect. Arrogant and combined with their stubbornness this can be their most difficult trait, especially if they start imposing opinions on others. Before you judge your Aries for being too arrogant and hard to deal with, see where their sensitive core lies. Once you understand their emotional nature and discover ways in which their heart beats, everything else will seem unimportant and easy to handle. A good word will go a long way and for as long as you respect them and let them know you do, they will have no reason to rush into conflict.